If short of time, this trip is perfect for whale watching. 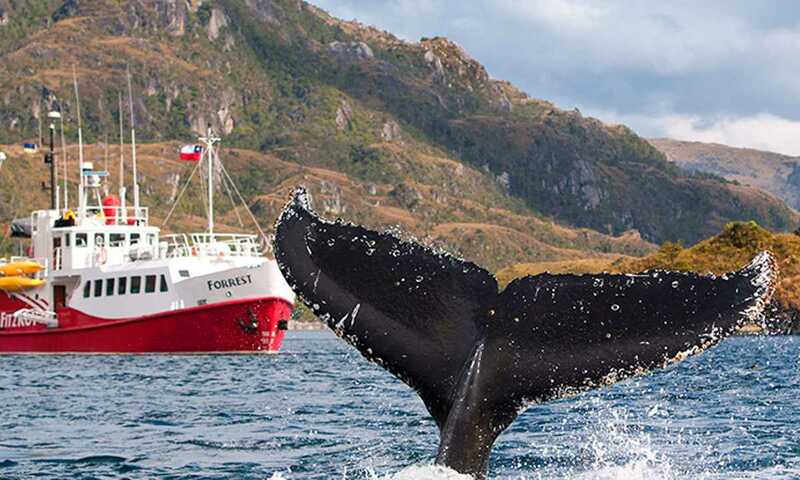 Spending a day and 2 nights in the middle of the Strait of Magellan, spot the region's whale species, including the humpback, with the help of on-board guides. 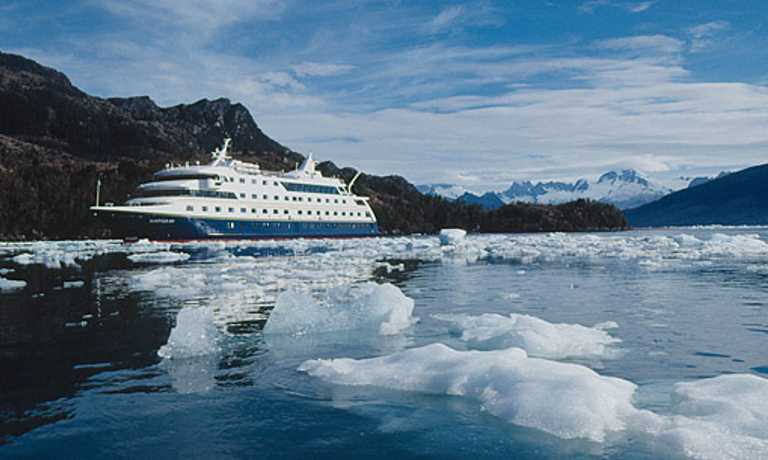 Departing from your hotel at 8pm, we'll drive out to Punta Carrera (area of Fuerte Bulnes) from where we'll board and weigh anchor at 9pm. As the FORREST sails off into the Strait, dinner will be served. 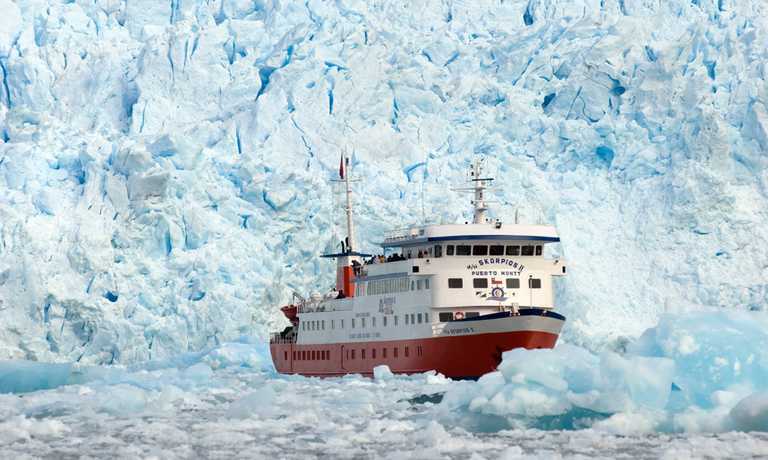 At approximately 7am, the FORREST will drop anchor inside the Helado Sound, in the southern area of Santa Ines Island and opposite the stunning Glacier. 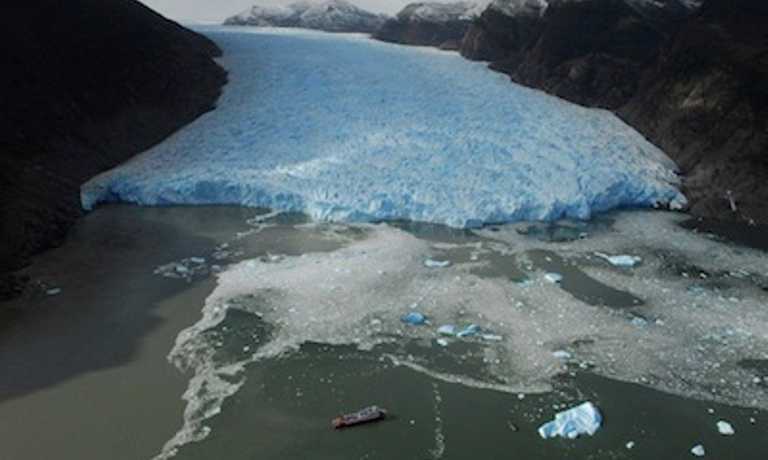 During the morning we'll board zodiac boats to arrive at the foot of the ice wall, disembarking at one of its sides. During the rest of the day we'll navigate between Canal Barbara and Carlos III Island, sighting some of the whales that can be found swimming in these waters. At nightfall, as we sit down to dinner, the FORREST will being the journey back to Punta Carrrera, while guest settle in for a good night's rest in their comfortable cabins. Please note that the prices shown are for cabins with shared bathrooms, the price for private bathrooms is $1,240 per person (Double) or $825 per person (Quadruple).